佐藤裕史、鈴木卓也、一瀬邦弘:　抗うつ薬の増強法としてmethylphenidate は妥当か　−薬理学的問題点と診療上の疑義について−. 精神医学. ４５（２）：191-199, 2003. 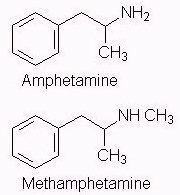 風祭　元: Methylphenidateについての精神医学的問題点　佐藤らの試論を読んで. 精神医学. ４５（5）：554-555, 2003. 岸本英爾: Methylphenidate（Ritalin）による精神症状の臨床的特徴と治療. 臨床精神薬理. 6(9): 1131-1134, 2003. Massello W 3rd, Carpenter DA. : A fatality due to the intranasal abuse of methylphenidate (Ritalin). J Forensic Sci. 1999 Jan;44(1):220-1.